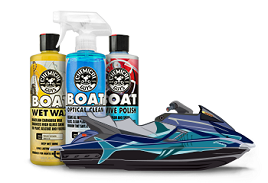 Sprayable Leather is an all-in-one formula that cleans to remove dirt, dust, and body oils, then conditions with Vitamin E and aloe to restore a soft, supple feel to leather parts. Taking care of leather is much like taking care of your skin as it involves cleansing dirt and oil, then moisturizing to protect against the elements. Sprayable Leather is perfect for one-step leather detailing when you’re strapped for time. 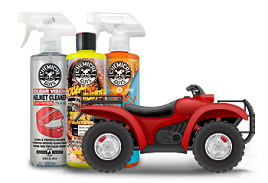 Regular maintenance with Sprayable Leather helps replenish the preservatives and oils that diminish over time without using petroleum nor caustic chemicals. 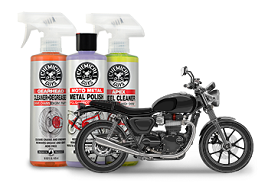 Sprayable Leather restores nutrients leather needs to resist degradation. The refined sprayable cream formula is rich with Vitamin E and aloe to restore a soft and supple feel, and uses lanolin and propolis to seal and protect the porous surface against the elements. The all-natural and waxy substances help create a durable barrier against chemicals, bacteria, mold, and mildew.